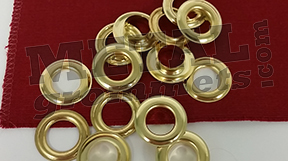 Note: ClipsShop brand antique brass self-piercing metal grommets and washers are designed to be attached with ClipsShop stainless steel setting dies and presses. Some customers report that they work successfully with certain Micron presses and dies. 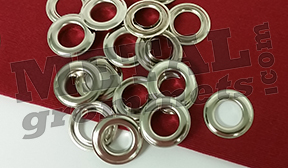 If you plan on using our grommets with a different brand of grommet attaching machine, we suggest you request samples for testing before making a purchase. Open bags of grommets may not be returned. Thank you.